Lenalidomide and renal toxicity, can this occur? Most chemotherapy drugs used to treat paraproteinemias are not nephrotoxic. But with renal toxicities such as electrolyte disorders, AIN and perhaps some GNs, anything might be possible. While cause and association cannot always be ruled out, knowing some associations is helpful. Lenalidomide usually is not associated with any nephrotoxic capabilities. In most cases, it has been studied now in patients with severe renal failure as well. In a recent letter to the editor in AJKD, a case of minimal change disease is reported. Interestingly, NSAIDS were also confounding factors but no AIN was found. Prior to this, a case of fanconi syndrome has been reported with lenalidomide as well. When paraproteins itself can cause GN and fanconi syndromes and other electrolyte disorders, sometimes its hard to make a case for the chemotherapy causing the renal damage. Classically, one associates hypercalecmia of malignancy with solid tumors such as breast cancer, kidney cancer and so forth. In regards to hematologic cancers, the lymphomas, and myelomas are the two disease states that have shown to have hypercalcemia. Does AML, ALL and other leukemias have associated hypercalcemia? It’s rare. T cell leukemia classically associated with HTLV-1 has been widely reported and is the most common leukemia to have hypercalcemia. Besides that, the rest of them are 1-2 case reports. NEJM had one of the earlier cases of this association. Recently, childhood ALL was reported with hypercalcemia of malignancy as a result of parathyroid hormone-related peptide and E2A-HLF from translocation 17; 19. Shu et al discuss the mechanism involved in leukemias and hypercalcemia. Cancer type T cell leukemia has a 50-90% incidence of hypercalcemia and its pthrp mediated or interleukin mediated or perhaps RANKL mediated. Acute non lymphocytic leukemia has a rare incidence but its pthrp and or 1,25 Vitamin D mediated. This April we had an update on glomerular diseases at our division. 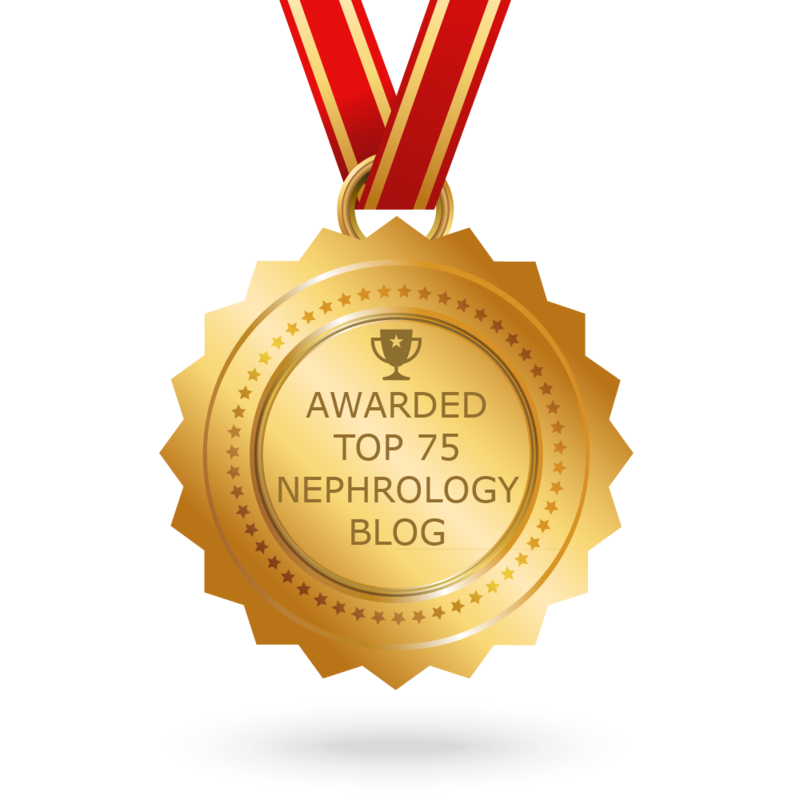 The international society of nephrology graciously has displayed few of the talks on their ISN Education website for all for viewing. Have a look at most of the talks from that day. Androgen deprivation therapy (ADT) is one of the mainstay treatments for prostate cancer. A recent study in JAMA2013, via a nested case control study show that these agents might be leading to or may be associated with acute kidney injury. Total of over 10,000 patients were looked at and comparing to matched controls, found these agents to be associated with AKI. What are the different hormone therapies for prostate cancer? The LHRH analogs available in the United States include leuprolide (Lupron, Eligard), goserelin (Zoladex) to name a few. LHRH antagonists work like LHRH agonists, but they reduce testosterone levels more quickly and do not cause tumor flare like the LHRH agonists do. Degarelix (Firmagon) is an LHRH antagonist used to treat advanced prostate cancer. Anti-androgens block(ADT) the body's ability to use any androgens. Even after orchiectomy or during treatment with LHRH analogs, the adrenal glands still make small amounts of androgens.Drugs of this type, such as flutamide (Eulexin), bicalutamide (Casodex), and nilutamide (Nilandron), are taken daily as pills. The report in JAMA focuses on ADT and its anti androgen effects. During follow-up, the investigators identified 232 cases with a first-ever AKI admission. These cases were compared with controls matched for age, one year since prostate cancer diagnosis, and duration of follow-up. Compared with never use, current use of ADT was significantly associated with a 2.5 times increased odds of AKI. The association was mainly driven by a combined androgen blockade, estrogen only, and other combination therapies, which were associated with a 4.5 times, 4.0 times, and 4.0 times increased odds of AKI, respectively, in adjusted analyses. Oral antiandrogens only, gonadotropin-releasing hormone agonists only, and bilateral orchiectomy each was associated with about a twofold increased odds. There might be a combined effect as stated by the authors. One case report of flutamide associated AKI does exists. The case had shown temporal association in a patient with metastatic prostate cancer. No biopsy was done. 2. What is the biopsy findings of these patients? Is it tubular damage, glomerular damage, - no mention of that anywhere. There might be protective benefits of androgens to the kidneys but there are basic science papers that have shown the opposite as well. 3. Looking closely at cases vs cohorts in this manuscript, while no p values are provided, there were more percentages of cases with HTN, CAD, CHF, on NSAIDs, antibiotics, Given complex statistical analysis and more sensitive analysis, they were able to still show an association. 4. Repeat study to confirm this association needs to be done. This is an observational data from outcomes type of research. This deserves a well designed trial to replicate this and see if this clinical holds true. cortical visual disturbances or blindness. Imaging predominantly shows parieto-occipital white matter changes, with vasogenic edema being the most accepted pathophysiology. Common clinical conditions include hypertensive encephalopathy, renal failure, autoimmune disorders and treatment with immunosuppressant or cytotoxic medications. Uncommon clinical conditions include acute intermittent porphyria and cryoglobulinemia. Some of the earlier cases of PRES were seen with SLE patients and in kidney transplant patients the classic association is with CNIs in rare circumstances. Preeclampsia and eclampsia may be the most common causes of PRES during pregnancy and most cases are managed without neuroimaging, and the incidence remains unknown. However, it is uncertain whether a cause and effect relationship truly exists between the two or if these represent independent processes with some element of clinical overlap. By definition, all patients with posterior reversible encephalopathy syndrome have a characteristic MRI pattern with bilateral hemispheric boundary zones of hyperintensities on T2 and FLAIR imaging, with increased apparent diffusion coefficient values, affecting the cortex and subcortical and deep white matter to varying degrees. The pathogenesis of PRES remains unclear, but it appears to be related to disordered cerebral autoregulation and endothelial dysfunction. Cerebral venous and sinus thrombosis (CVST) in the postpartum period is also a common cerebrovascular incident during the puerperium. Clinical manifestations consist of headache, vomiting, focal or generalized seizures, confusion, blurred vision, focal neurologic deficits, and altered level of consciousness. It is in the differential diagnosis when considering PRES in pregnancy in the post partum period. AKI is diagnosed. You need to start dialysis... can you use PD as an option? This was historically done but trends have changed and extracorporeal blood purification( CVVHDF, HD) gets offered only. A recent article in CJASN did a systematic review on this topic. Based on their analysis, they found 24 studies that was good to evaluate and included 1556 patients. 3. But the trials were significantly had intertrial heterogeneity. 5. Low resource settings and developing countries had more experience on this use than developed countries. Studies from Europe and North America were very low numbers. modality most health care providers were comfortable discussing with their patients with only 18.7 % being comfortable in discussing PD. PD needs to strike back! What are the limitations of the anion gap use? A recent article in CJASN has some key points. B. Classically AG has been using HCO3, Cl and Na for calculations. Should K be used? The rationale for not using K is because the absolute change in its concentration observed clinically is small. It might be useful if the K is too low or too high. So if K was 7meEg/L, it should be included in the calculation. C. Based on the research done on what normal AG is, the span of population is from 8-10meq/L. E. Interestingly the article points out from their review that the sensitivity of increased anion gap in detecting hyperlactatemia is very poor. Range is from 44% to 78%. If lactic acidosis is suspected, perhaps directly measuring that rather than relying on AG might be useful. F. Baseline value for individuals AG to optimize the use of the calculation of AG in the detection of acidosis is what the authors suggest. A recent article in NEJM discusses using an urine test to detect pre rejection the risk of rejection in a kidney transplant recipient. In a multicenter study, a molecular signature of CD3ε mRNA, IP-10 mRNA, and 18S rRNA levels in urinary cells appears to be diagnostic and prognostic of acute cellular rejection in kidney allografts. An editorial accompanies it calls this test the " rejectostix". The lead author Dr. Suthanthiran discusses this idea and test on a youtube exclusive interview as well. The team measured the levels of messenger RNA (mRNA) molecules produced as genes are being expressed, or activated, to make proteins. The mRNAs (18S ribosomal (rRNA)–normalized CD3ε mRNA, 18S rRNA–normalized interferon-inducible protein 10 (IP-10) mRNA, and 18S rRNA) indicate that killer T immune cells are being recruited to the kidney in order to destroy what the body has come to recognize as alien tissue. The signature test consists of adding levels of the three mRNAs in urine into a composite score. This would be a nice detective tool for the transplant nephrologist. Check out an exclusive interview of the researchers from Cornell. Is this our future? hope so, if this holds:- no more kidney biopsies. If you know it early on, you can address it sooner... hope to see this in clinical practice. The Advances in Chronic Kidney Disease (ACKD) has a special issue on education this month. Interestingly there are some articles that might be of interest to many. The entire issue is two fold- patient education and physician/trainee education. 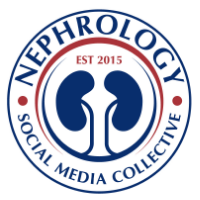 3.Online learning( a nice summary of nephrology online teaching tools and includes many blogs that are doing educational content. It summarizes the pros and cons of each blog and in addition has descriptive information regarding each one as well. PB Fluids already has a post on this.